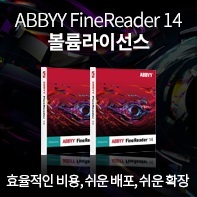 ABBYY FineReader OCR 엔진 10의 Release 6 GM이 릴리즈 되었습니다. New interface language — Japanese. FREngine.dll now can be registered using the following command line: regsvr32 "<path to FREngine.dll>". There is no need to specify any command line parameters.